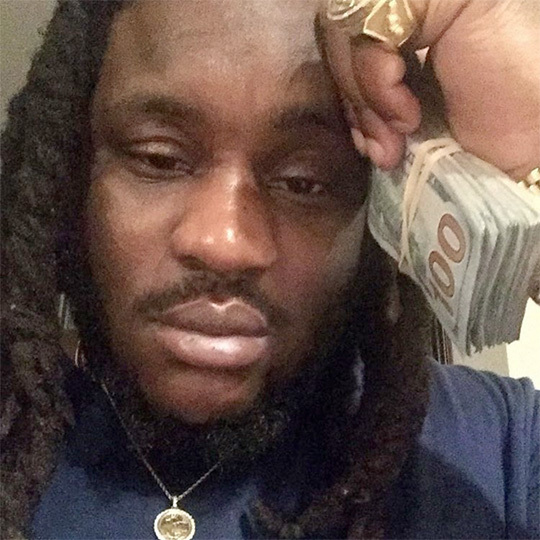 HoodyBaby has took to his Instagram page to reveal most of the tracklisting for his forthcoming debut mixtape on Young Money, which will be called Kitchen 24 (Slangin’ Off Key) and be hosted by DJ Drama. 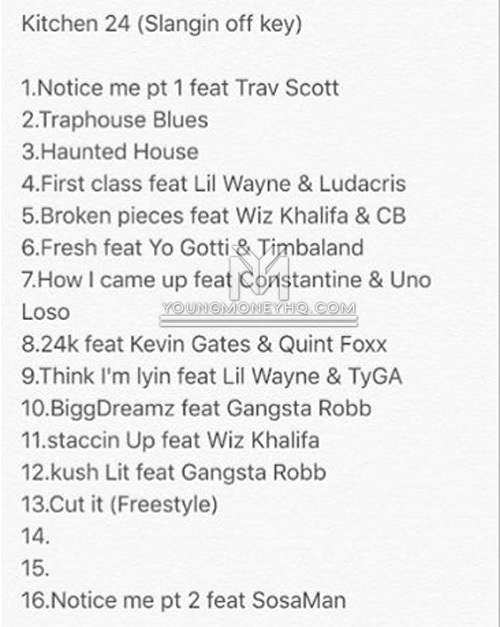 On the 14 songs named on the tracklist, we can see that the tape will have features from Lil Wayne, Travi$ Scott, Wiz Khalifa, Ludacris, Chris Brown, Timbaland, Yo Gotti, Kevin Gates, Tyga, Constantine, Uno Loso, Quint Foxx, Gangsta Robb, and Sosamann. You can check out the nearly completed tracklist for Kitchen 24 (Slangin’ Off Key) after the jump below. There is currently no release date for when the project will drop! Who is looking forward to hearing it?